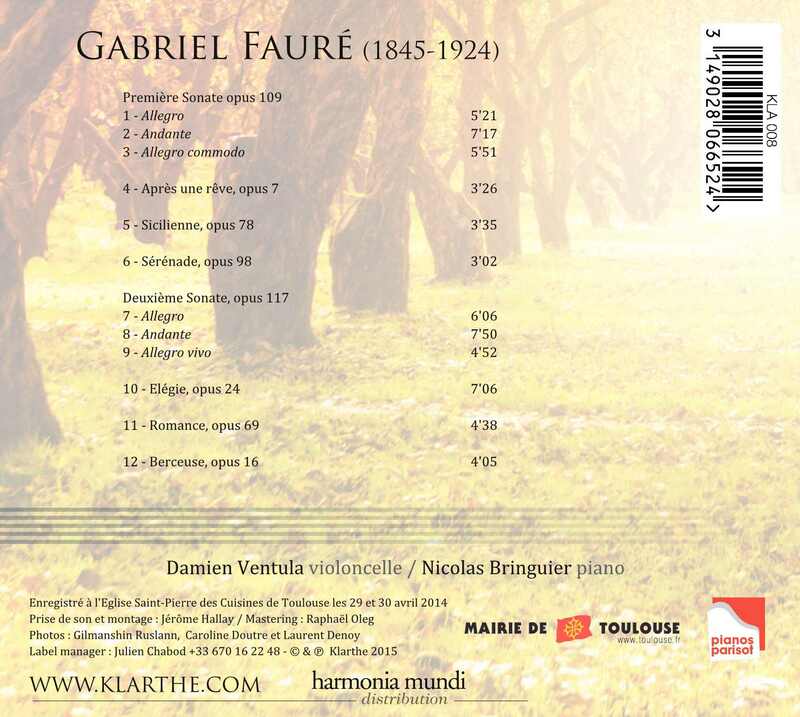 The works of Gabriel Fauré for 'cello and piano take us right to the heart of the mystery that the music of this master conceals: intimately unifying sensuality and spirituality, it is a supremely balanced music, which speaks as much to the soul as to the body, and conveys to the highest level the qualities of refinement and subtility attributed to French music. 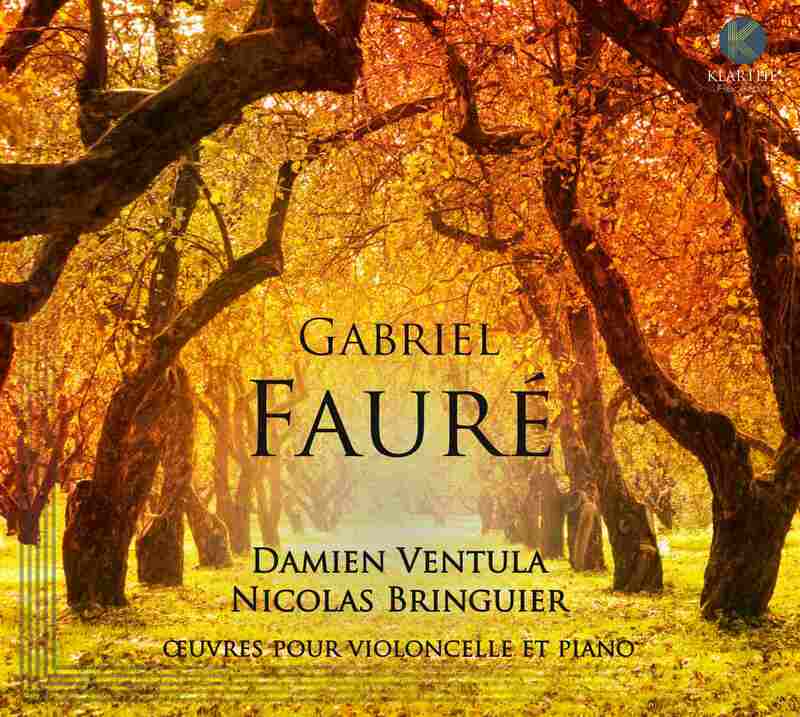 When Damien and I met each other - thanks to the friendly intervention of Raphaël Oleg - without whom this project would never have seen the day, and to whom we wholeheartedly dedicate this disc - we quickly discovered that Fauré inspired us both in the same way, and we quite naturally had the idea of recording together these works, so rich in poetry, grace and charm, but at the same time enigmatic and secretive. We had already known for a long time the most famous pieces: "Après un rêve" - a melody of which the sublime recording by Régine Crespin particularly inspired us - the Sicilienne, the Elégie, the subtle and candid Berceuse, we had both often played the second sonata op.117, with its huge arching melodies, its slow movement, of a rare sobriety and depth, its whirling finale, and then we discovered together the wealth of lesser-known works: the voluptuous Romance, the Serenade, full of humour, but above all the Première Sonate op.109, a little-known masterpiece. This dense, tormented sonata, speaks vividly of the distress felt by the composer during the First World War, and shows us hidden aspects of the genius of Fauré: fury rubs shoulders with revolt, and the first movement exhibits a dark side rarely shown by the composer.